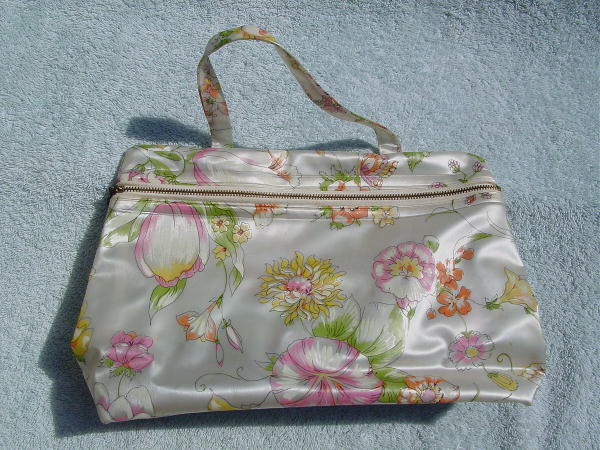 This vintage plastic purse has a pearlized white background with flowers and leaves in dark baby pink, pale tangerine, white, pastel pink, and light Spanish olive. 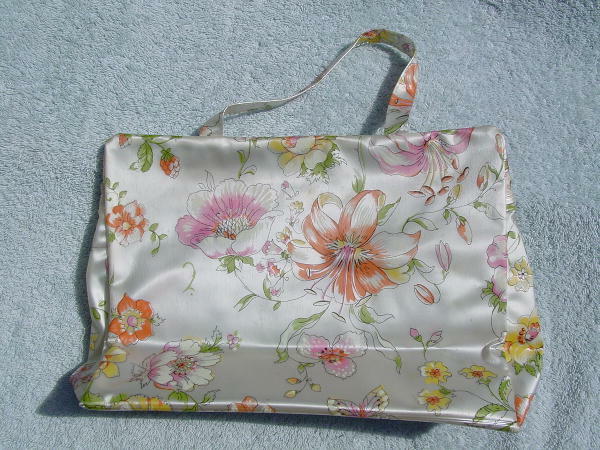 It has an upper front side to side zipper and an 11 1/2" long by 5/8" wide handle. There are some age spots on the interior bottom (white cardboard covered in clear plastic). A Miami model used it as her purse.